Winter of 2012-13 was rough… not only was it the coldest winter in recent Seoul memory but I also was sick for large chunks of it. My body really had difficulty adjusting to the frigid conditions, near-constant fine dust in the air and a different diet. I wasn’t exercising and by springtime I had acquired a small gut and gained a few kilos. I did a body fat analysis at a pop-up medical station next to a trade show I was visiting for work in Daegu … my body fat was 22% and upon seeing the results the Korean nurse told me I was “obese”. In case I didn’t understand, she drew a stick figure of a man with a fat belly!! 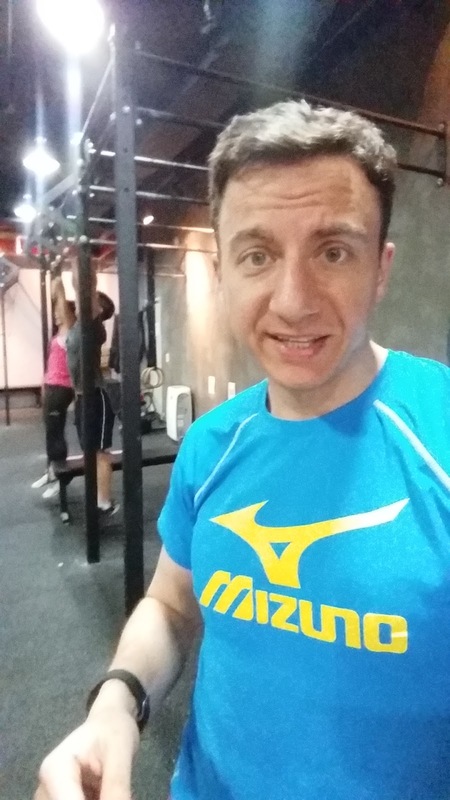 Though from a Westerner’s perspective Koreans have absurd body standards, this was a wakeup call that something wasn’t right with my health. On the train ride back from Daegu to Seoul my work colleague said he could bring me to his gym that evening … Crossfit Sentinel One. We lived in the same neighborhood so the gym was a convenient 6-minute walk away from my house. I’m so glad I joined him! I entered a modestly size room in a building basement, with a lot of barbells and weights but little else in the way of equipment. No mirrors on the wall. 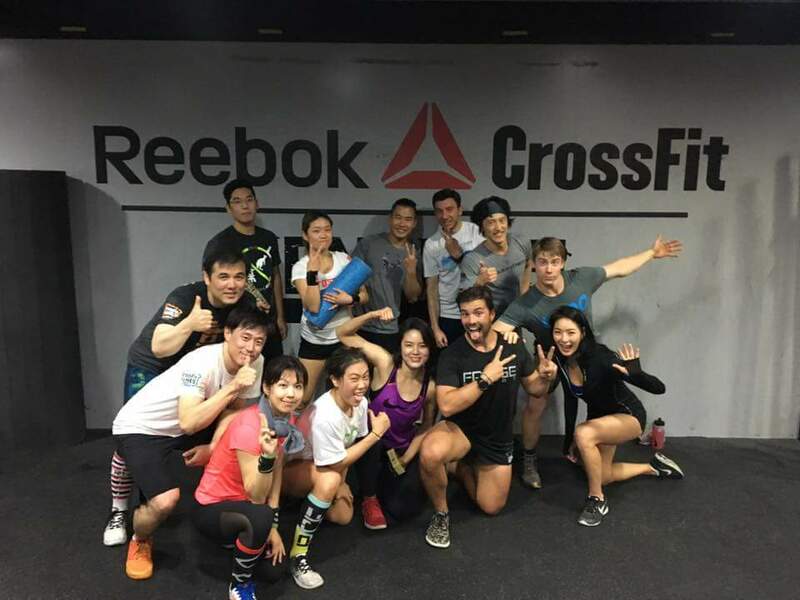 A group of about 12 had assembled for a “boot camp” style cardio workout class. My heart was pumping, sweat dripping down my face. Panting and sore, I knew I had found a place I needed to bring into my life. And, big bonus points, the instructor spoke perfect English! I signed up immediately. Two months later, I had lost my Korea flab and all my sicknesses from the winter had cleared out. I felt great! 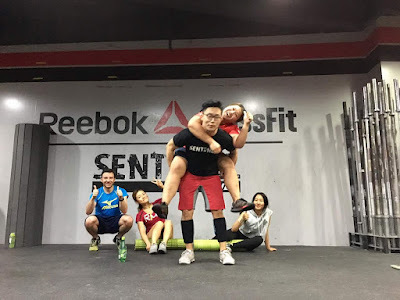 I did the “boot camp” workouts for a year, group exercises with mostly body-weight movements for strength or some light kettlebells/dumbbells/medicine balls. The exercise was great but I was starting to get bored with it, and most of my friends from the boot camp class had “upgraded” to Crossfit, which also took place in that gym. The Crossfitters seemed crazy and cultish to me, throwing heavy weights around at lightning speeds, extreme diets, lots of moans of pain. But I needed to spice things up so I took an “on ramp” class to learn the principles of heavy weightlifting and then I was in. I was totally scared – doing highly technical movements with high loads seemed like the perfect recipe for a major injury. Around this time I also traded my short commute to Gangnam Station for lengthy shuttle bus rides to and from Samsung Suwon Digital City every day … more than doubling my commute time. 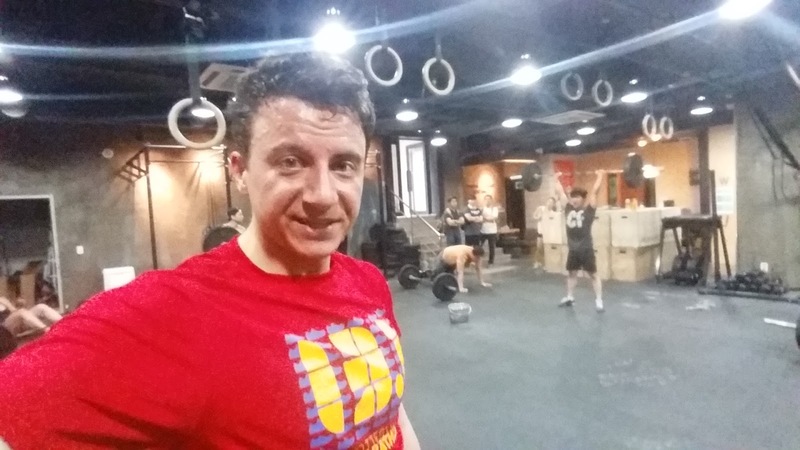 My evening return time home became highly unpredictable, and throwing in the awful Seoul metro area traffic meant evening workouts were not really doable anymore. Hence I did something even more crazy — I switched to 6am workouts! I am not a morning person and 6am was far from my ideal workout time, especially for lifting heavy things. But the 6am coach was amazing, an expat New Zealander with the nickname “Badger”. The coach had a degree in exercise science and knew everything about how to diagnose when someone’s mechanics were off on an Olympic weightlifting movement. I felt so much safer knowing that Badger was going to stop me before I threw out my back or ripped up my shoulder muscles or tore a knee ligament. When you don’t know your limits, exercise like Crossfit can be dangerous, and I grew much more comfortable with the movements under Badger’s tutelage. 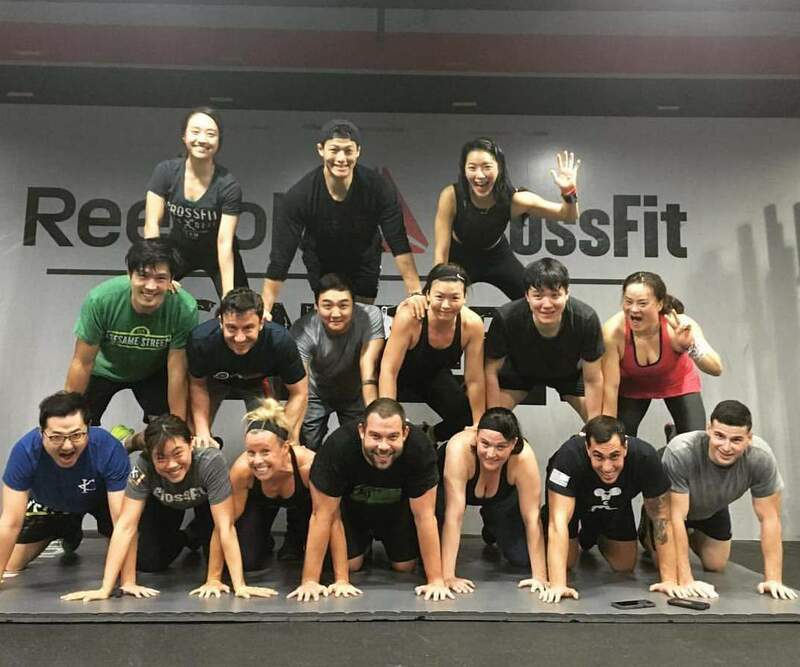 My all-time favorite coach, Badger, on his last day teaching at "the box"
It has been 3 years of Crossfit for me now and a lot of people have come and gone from the Sentinel One gym, instructors and members alike. Badger moved to another gym and the instruction now has mostly flipped from English to Korean. My work schedule is under control now and I have returned to evening workouts. I try to visit 3-4 times per week when I am not traveling for work, and my health is great. I hardly get sick now and my body fat is down to 12%. Plus I frequently realize little accomplishments — one day I bench-pressed more than my body weight; this week I did 12 strict pull-ups for the first time. I’m still a low-intermediate in Crossfit terms but I have only had one major injury in 3 years — scraping my shin on a box jump — and my wife loves how I look! Working out in groups with an instructor telling you what to do is a great motivator for not being lazy in the gym. I never plan to become an elite athlete or participate in the Crossfit Games or anything crazy like that, but I do enjoy having a convenient fitness community just walking distance from where I live.